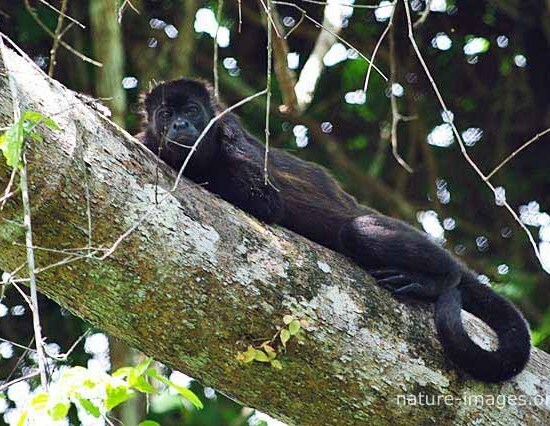 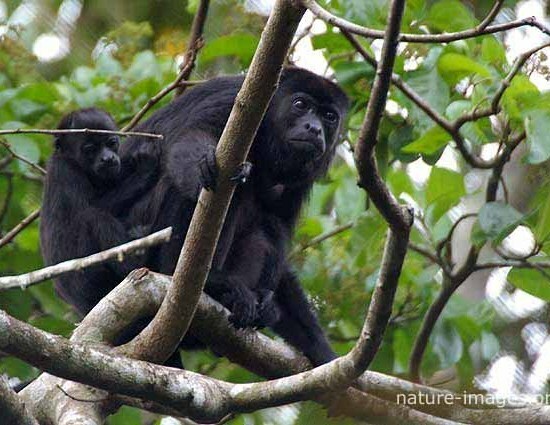 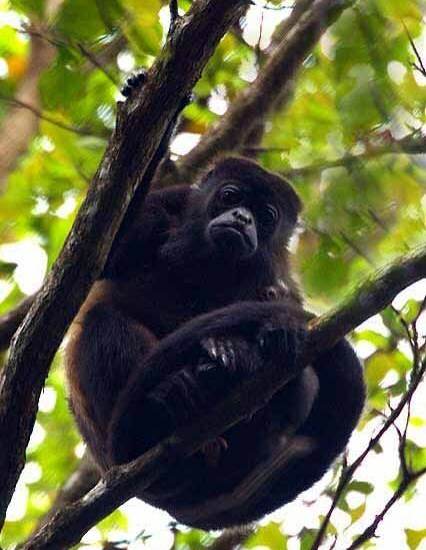 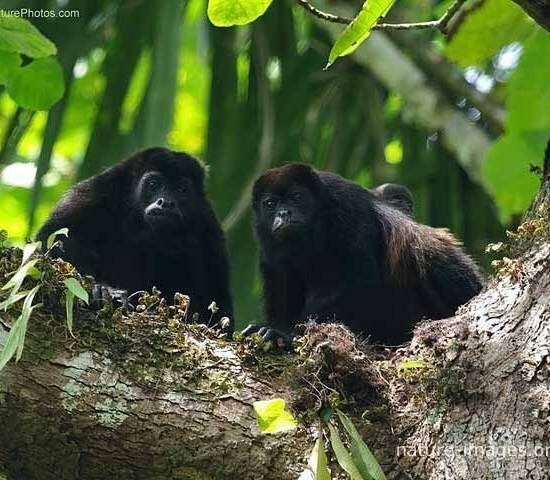 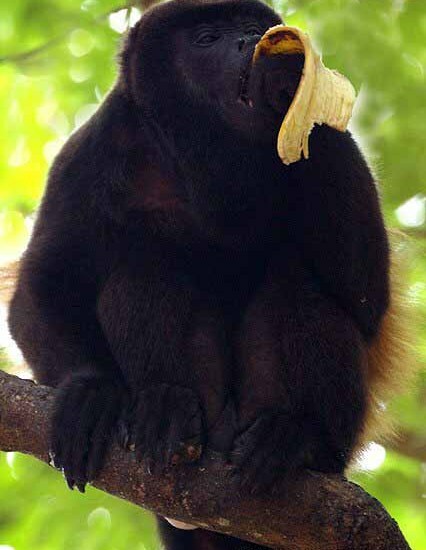 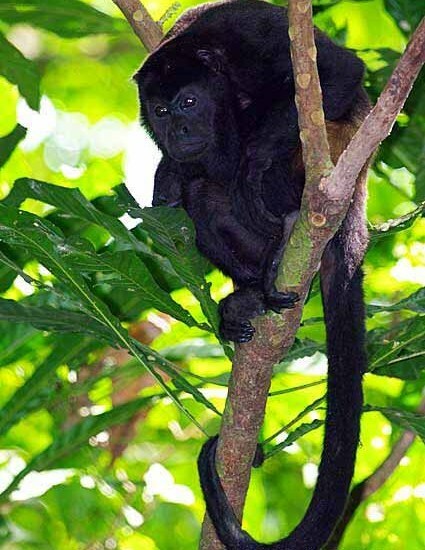 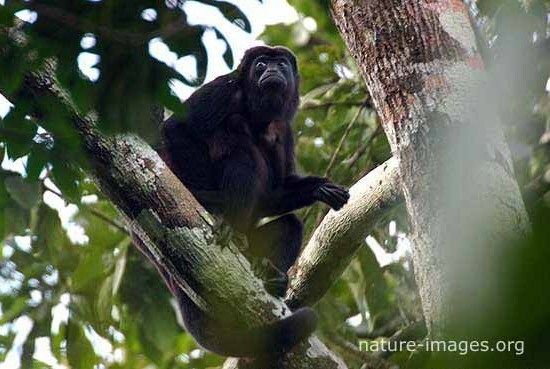 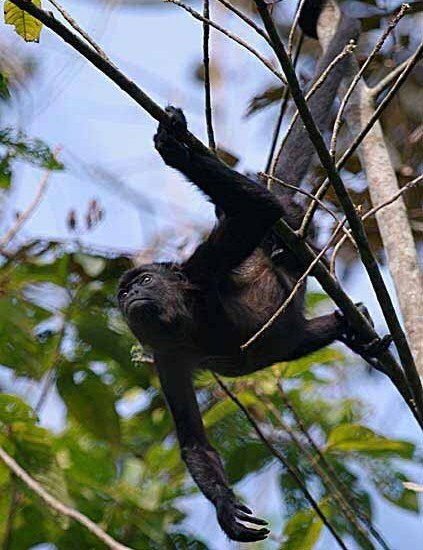 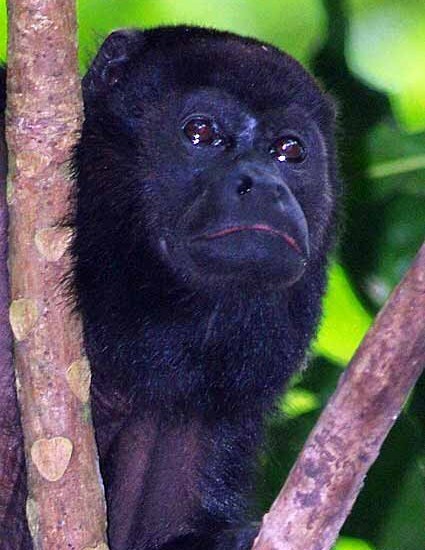 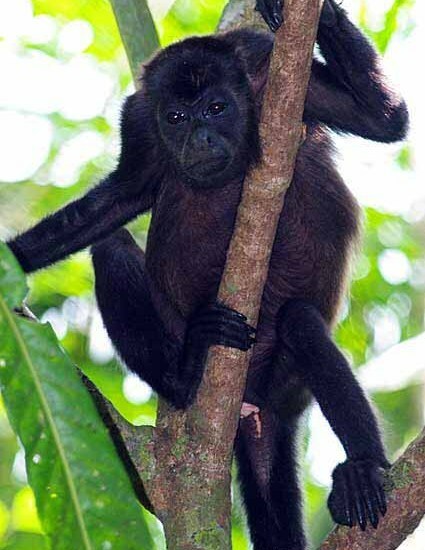 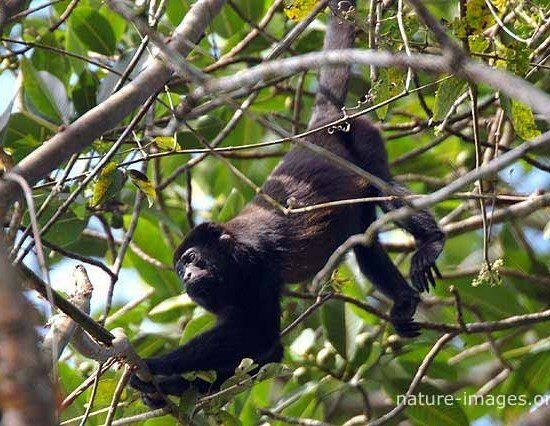 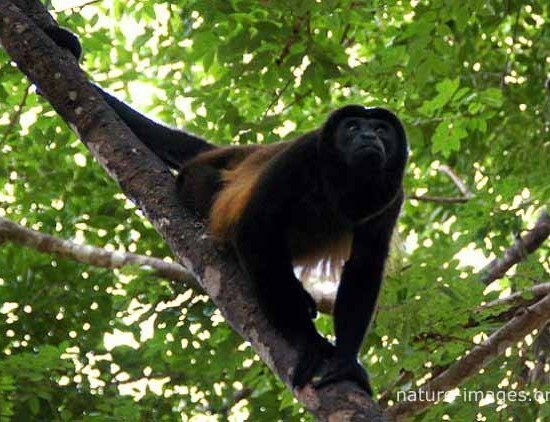 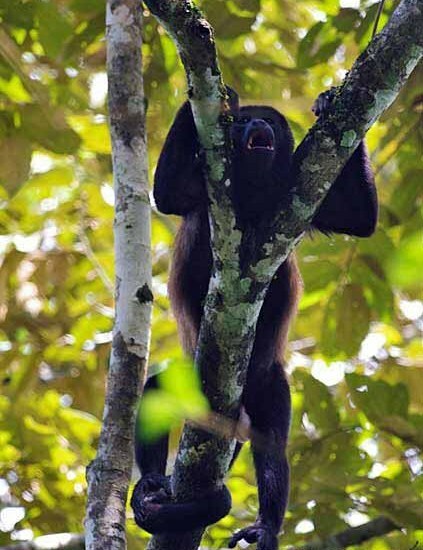 The mantled howler (Alouatta palliata), or golden-mantled howling monkey, is a species of howler monkey, a type of New World monkey, from Central and South America. 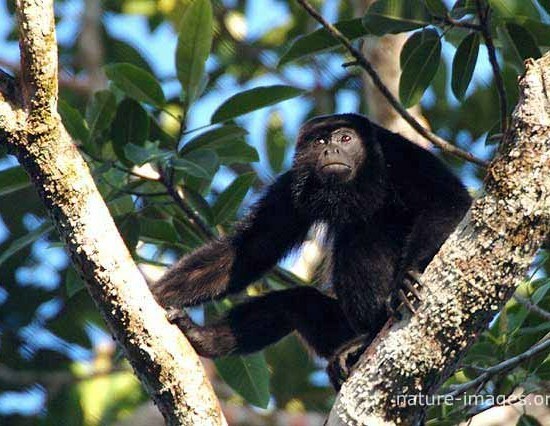 It is one of the monkey species most often seen and heard in the wild in Central America. 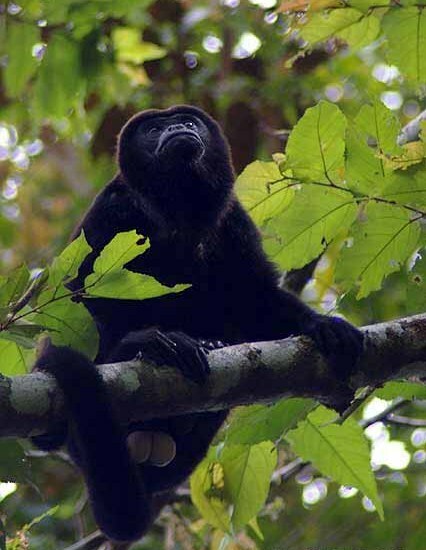 The male mantled howler has an enlarged hyoid bone, a hollow bone near the vocal cords, which amplifies the calls made by the male, and is the reason for the name “howler”. 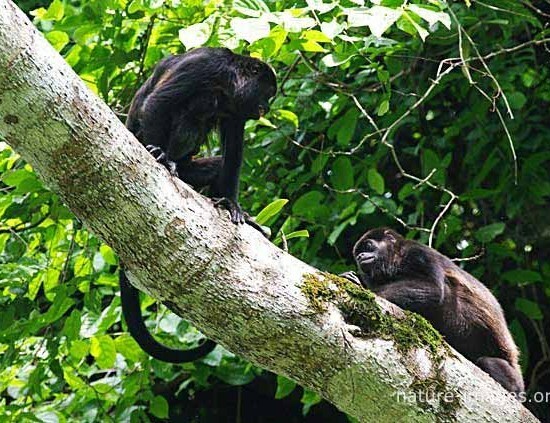 Howling allows the monkeys to locate each other without expending energy on moving or risking physical confrontation. 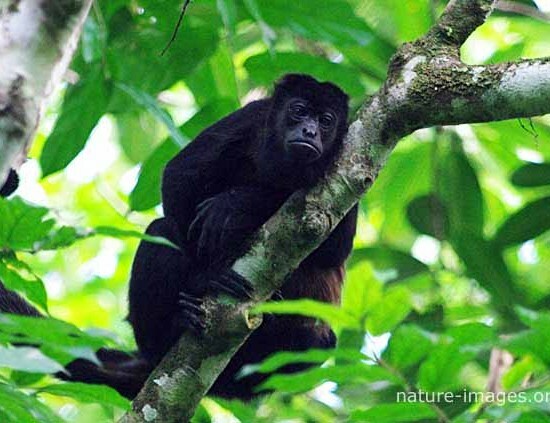 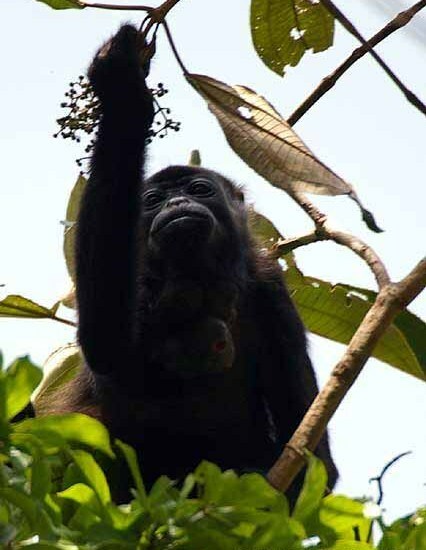 The attached images have been taken in Panamas rain forest.